Name a card. Target player reveals cards from the top of his or her library until the named card is revealed. 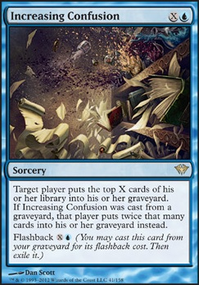 If it is, that player puts the rest of the revealed cards into his or her graveyard and puts the named card on top of his or her library. Otherwise, the player shuffles his or her library. 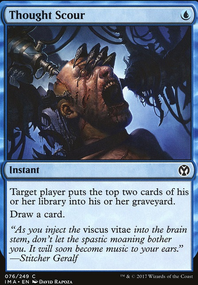 If I have Tunnel Vision and I name a card that isn’t in the targeted player’s deck, what happens? Oh man! 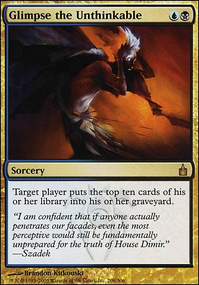 If we can find a few card that put a target card on the bottom of our library, we can play Tunnel Vision on ourselves, then attack with Bruna. We would want a couple 2-3 ways to shuffle our yard back in to our library. We could also Traumatize our self ;). Even better if that "put target card on bottom of library" could be done to an opponent as well cause we could either use it to put all our auras in the yard, or mill another person completely! 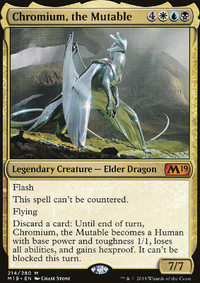 Retether could be a good option to get our enchantments out if Bruna isn't available and we have fear of our yard being exiled. Open the Vaults get's our equipment as well. Open The Vaults would actually be fantastic if we could do a huge self mill with it in our hand and a whole bunch of mana rocks in our deck as they'd all be brought to the battlefield. 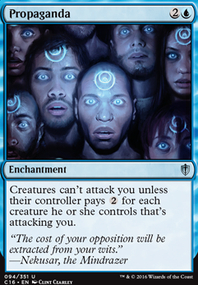 This strategy would be worth instant/sorcery tutors and Archaeomancer s.
Considering the self-mill strategy for Bruna, I realize Sigil of the Empty Throne suits and enchantment deck that's more as you are ramping lots and drawing so you can storm out casting enchantments. Because of the minimal amounts we HOPE to be casting them here, it's likely not worth the slot? I disagree with Vman, I think you could build a fairly competitive mill deck for EDH without it needing to be a cEDH deck. There are a lot of ways to make infinite mana if you want to, but if your are limited by budget, try working a mill shell with a lot of control support. Phenax, God of Deception is definitely the way to go, as it alone makes all your creatures into mill effects. If you run a lot of walls, you could also look at things like Propaganda , Koskun Falls , Crawlspace and Collective Restraint , so yu protect yourself. Black has a lot of wipes, run at least 5-7 of those to keep the board clear, plus the usual suite of counter spells. There's nothing wrong with running a few infinite combos like Hinder / Spell Crumple + Tunnel Vision . 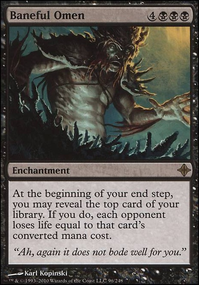 The last recommendation is run some effects like Leyline of the Void that cause milled cards to be exiled, as that will keep people running things like eldrazi titans from just reshuffling every few turns. Seal of Doom and Seal of Primordium are amazing removal that I suggest. Ground Seal is an amazing card in this deck to protect from targeted graveyard removal. Pernicious Deed is a must in this deck, it's the best board wipe you'll get. Conjurer's Bauble + Tunnel Vision + Laboratory Maniac is one of my favorite wins. If you remove all your basics, Hermit Druid + Laboratory Maniac is a really dumb win. iggy12345 on I don't need friends, they disappoint me. This is such a fun deck idea! I love seeing creative decks like this — I would never have thought of this myself. 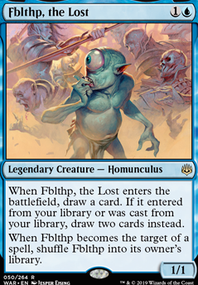 While not a book or "librarian" himself, Skilled Animator prominently features books in the artwork, and he might complement your high amount of non-creature artifacts pretty well. 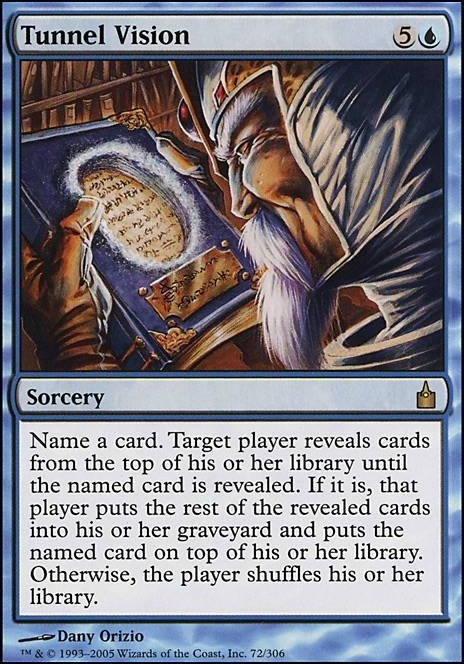 Similarly, Artificer's Assistant is portrayed as being in a library, and would complement the large amount of artifacts (including the Artifact Creatures) being cast. As to books, Mangara's Tome is an interesting effect. If you find that there's specific cards you generally want to be casting in this deck, then this might be a way to set up that win-con. A similarly interesting effect is Tunnel Vision . I could see this fetching the missing piece between Learn from the Past and Animate Library, if you have one and need the other. You'll be casting mostly non-creature spells, so you should be able to put quite a few Lore counters on Scroll of the Masters . Combined with Suspicious Bookcase, this might be another way to push some damage through. You draw a lot of cards, so you may not find a card like Index to be that useful, but just in case, figured it was worth mentioning! Might I recommend the likes of Vendilion Clique and Tunnel Vision . the clique can help to put big threats from their hand to the bottom of their library and if combo'd with tunnel vision, you will mill them for their entire library. Thanks for the comment harbingerofduh! Super sorry for the late comment, it took me almost two months to find the time to update this deck, alongside the other 3 that I own in paper. Anyways, you won't believe, I had already seen your deck before your comment, and I must say it's a pleasure to know that there are crazy people other than me that believe in mill in EDH. As you can see, the deck went under a lot of modifications, taking out some boring and unperformig cards, to add the Thief of Sanity you mentioned. I must also thank you for telling me about Gonti, Lord of Luxury 's interaction with Tunnel Vision . Fun fact: one of my friends (OSELLONE) has had a deck with Gonti at the helm for almost a year now and yet I hadn't noticed the combo potential. I guess he'll be mad once he'll see me run it too. I've wondered about including Undead Alchemist for a while and then I decided to not put it in. 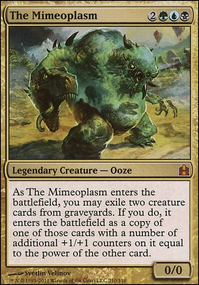 It's a cool card, and the combo potential is there, especially with Lightning Greaves and Thousand-Year Elixir , but I guess it's not for me, mostly for the fact that it exiles the creatures that hit the graveyard, so if somehow I don't win when I cast it, I'm screwed. Again, thank for the comment and the patience, keep up the good work with the mill squad!